Veteran TV Talk show host Regis Philbin is a household name as he’s always on the tube. In just about every home, every day, some where, some how, he’s on TV…..as a matter of fact, Regis holds the Guinness Book of World Records for performing in front of a TV camera! For years as the main man of the extremely popular Mon -Fri weekly morning “Live With Regis & Kelly” show, he is also well know as the “Who Wants To Be A Millionaire” and “Million Dollar Password “ game shows emcee and pitchman for many products. 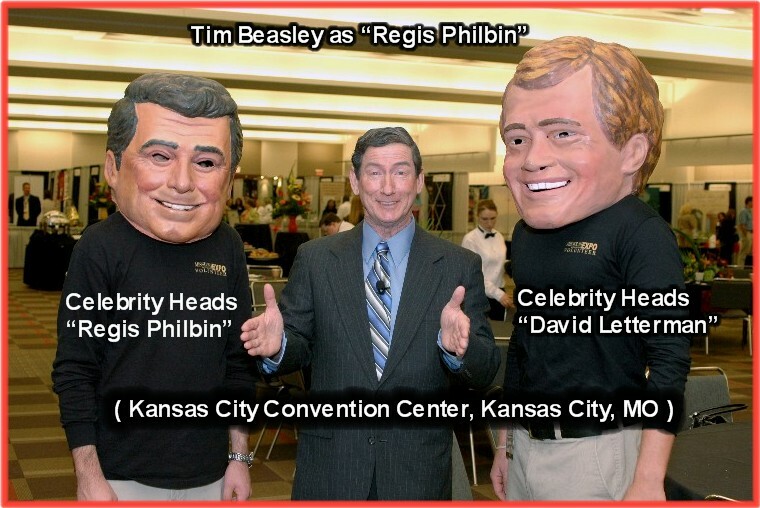 You can have that “live celebrity” feel for your next event by having Tim Beasley in his direct and dynamic “Regis Philbin” impersonation to emcee your introductions, awards, and door prizes in a fun and exciting program. Tim can also engage the audience in some “Regis Game Show” activities to energize any crowd with his hilarious “the world according to Regis" remarks….and everyone likes to get a photo with him, too, as Tim wears those very “Regis” signature sharp suits, silvery hair and “Cheshire Cat” grin. Tim will also custom craft a fun and exciting “Regis” script just for your event! 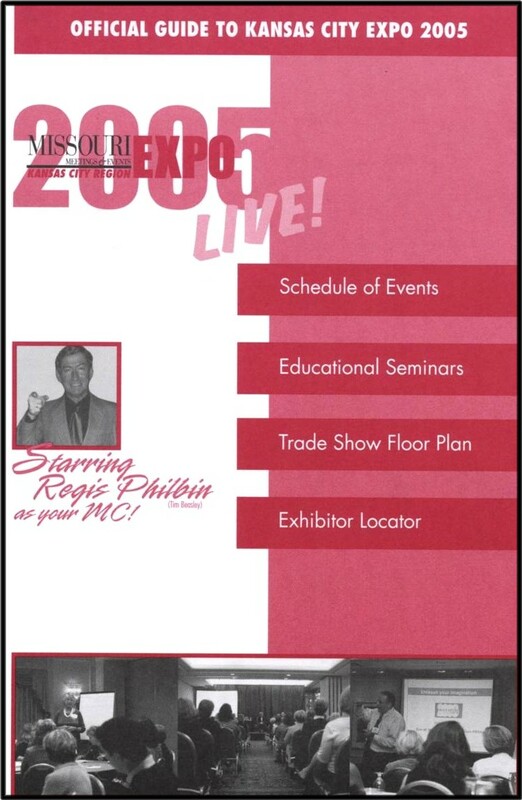 Emcee for “Live!” at the Kansas City , MO Convention Center for the Missouri Meeting and Events Expo. for the Utility Managers Expo in Williamsburg ,VA.
Having a "Live" event? 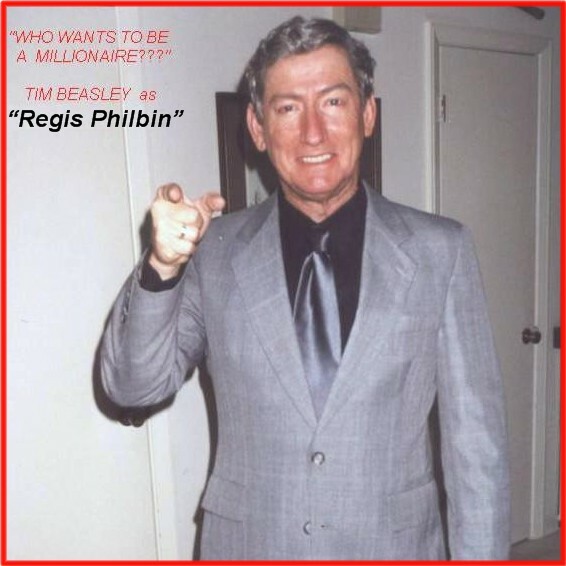 Let Tim as "Regis!" bring the feel of "the master of Master of Ceremonies" and keep it energized! Or - call.... Just like Regis, we love to talk!